Nxt is a versatile, open source cryptocurrency platform. In this Nxt CORE article series we will dive into the main 2.0 features of Nxt. This first article is about NXT, the token itself. NXT, which launched on Nov 24 2013 as a 2.0 crypto coin, was the first 100% pure proof-of-stake currency. It is built in Java, distinguishing it from most other coins, which simply tweak one or other parameters of the Bitcoin protocol. Rather than being a simple coin, usable only for basic send/receive transactions, Nxt can be thought of as a complete platform for economic activity. As a proof-of-stake currency, NXT was never mineable. Instead, all 1 billion NXT were created at once, in the first block. No new coins can ever be added (though coins can be destroyed by sending them back to the Genesis block, and if users forget their passphrases their coins will remain permanently locked in their accounts and therefore, in effect, removed from active circulation – as is the case with Bitcoin). 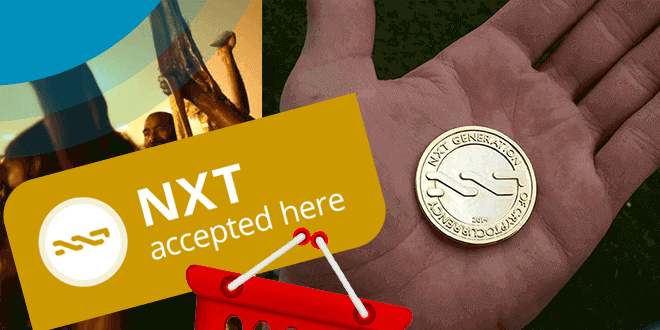 Nxt was created by BCNext, a long-term member of the Bitcointalk forums under a different name who started the BCNext user account for this project so that he could remain anonymous; he has since handed the project over to the community (in the best tradition of Bitcoin creator Satoshi Nakamoto). Towards the end of 2013 he advertised for investors for the new platform, receiving a total of 21 bitcoins from 73 backers. Of these, 8 invested the maximum of 1 BTC; the others gave smaller amounts. The 1 billion NXT were distributed proportionally between these investors, with the largest risk-takers receiving in the region of 50 million NXT each. The market cap of NXT rapidly increased from 21 BTC to over $70 million immediately after launch, later fluctuating between $20 and $100 million. The long-term bear market in BTC has returned it to the $20 million range, though NXT has still appreciated in BTC terms and remains largely linked to Bitcoin’s fortunes at the present time. The initial distribution has attracted much criticism in the year since Nxt’s launch (Nxt celebrated its first birthday on November 24). Many people claim it is unfair – though, as with other such ventures, those who took the risk and invested in the first place get the biggest reward. It turns out, however, that the supposedly unfair distribution was, in fact, a deliberate move to create a sustainable system. One key advantage is that there are large amounts of NXT available from generous initial stakeholders for further development – something that explains the dizzying pace of innovation and quality of the devs in the Nxt community. Over the last year the number of accounts has grown from 73 to over 85,000. The Monetary System, which will allow new coins to be created on top of the Nxt blockchain by ‘locking’ existing NXT, will also provide a solution to this ‘problem’ of distribution. Nxt has many differences from Bitcoin. For one, as a PoS currency, it does not require wasteful mining to maintain its security. This solves a huge problem with Bitcoin, since the PoW model is extremely wasteful of energy and if the Bitcoin network ever scales enough to be truly useful then it will have serious environmental implications. A client ‘forges’ (rather than mines) to secure the network. Powerful computers are not needed; even a Rasberry Pi can forge NXT. Forgers are rewarded with transaction fees alone. Legendary Nxt node setup, by davethetrousers. Cubie + solar cell. Greenpeace should be happy. Nxt’s blockchain is lightweight compared to Bitcoin’s, and transactions are fast. The ideal is for 1-minute block times, which will be achievable in the future as the network grows and with new releases. Current block times average around 110 seconds, compared to Bitcoin’s 10 minutes. Another significant difference is that Nxt uses a ‘brainwallet’ system. Users need only their passphrase – a long (30+) string of random characters or around a dozen random words to access their accounts. This maps to the Nxt address. Any transaction requires the passphrase. This is unlike most other currencies, which generally use a wallet.dat system (though there are some Nxt wallets, such as the MOFO wallet, that have been adapted to use a wallet.dat). This approach has advantages and disadvantages, but is built into Nxt. One obvious advantage is that you can sign in from anywhere; all necessary information is stored in the blockchain. A cap of 255 transactions per block. New accounts are automatically secured with a 256-bit public key, which makes it perfect for cold storage. Account Leasing allows a user to lease ‘forging’ power to another account for a fixed period of time, without having to send coins anywhere. This allows for the creation of secure forging pools. No new NXT coins will be created. They want to ensure that the platform grows naturally, by releasing the right features at the right time. Every big new feature requires a hard fork. Releasing only one major feature at a time allows bugs to be easily located and fixed. “Accounts are secured with a 256-bit public key as soon as one outgoing transaction is made from an account.” Is this still true? AFAIK a new account now automatically gets a public key. Therefore now you can make super secure offline wallets with NXT.